Advanced-purchase tickets will be available any of your local Osseo Lions Club Members. You can follow our event on Facebook for additional details! We're GRILLING UP Flavor This Fall for You! 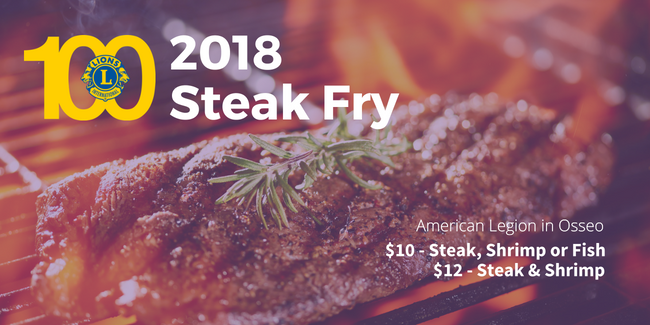 Mark your calendars and come out to our annual Steak Fry and support Osseo Lions' community initiatives this year!